I love journals and notebooks. They can get to be an obsession of mine. I know this, so I’ve intentionally and willfully refrained from purchasing any for a long time, simply because I have so many. So, the other day, my husband Gregg took the boys to Gamestop. I don’t know if you’ve ever been into a Gamestop, but not only are they filled with video game accoutrements, they’re filled with all the nerdy toys and collector items. Gregg came home with this notebook for me. Seriously. Could I be any more blessed as a wife? 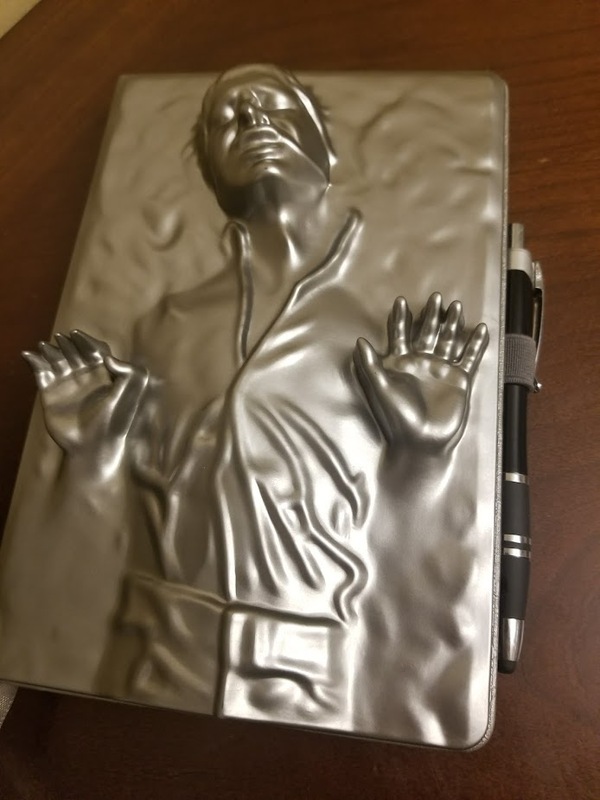 The inside contains blank pages and the symbol of the Resistance. I totally love it. Totally. I honestly can’t get over how much I love it. 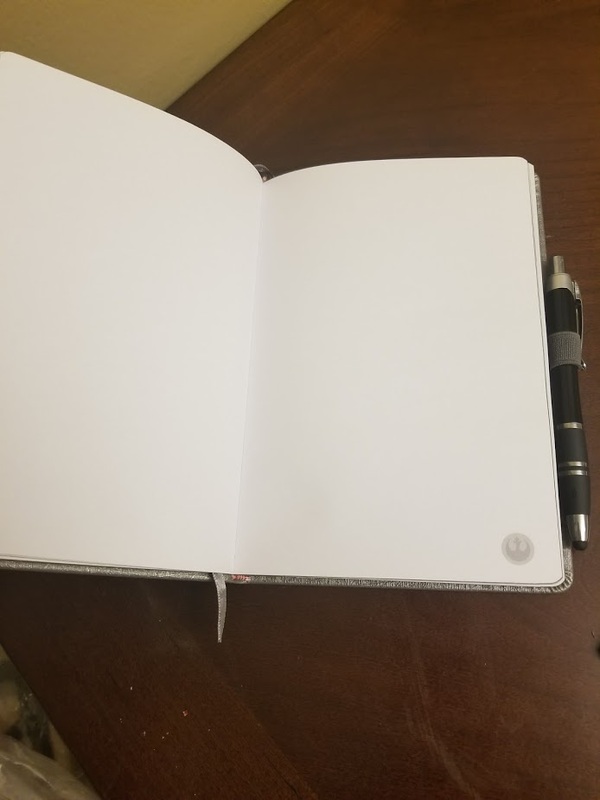 This entry was posted in About Hallee, Blog and tagged journal, love, marriage, notebook. Bookmark the permalink. Oh my goodness, I have the SAME obsession…and get this, my husband works for Office Depot! I have notebooks and journals everywhere!! And pens! Yes! We are at GameStop all the time for my son. Love this journal! I got my daughter a Zelda journal there and she loves it, carries it with her all the time. Gamestop is one of our favorite places to go!